Home is where the heart is, or so they say, but what if your home was put at risk and jeopardized by something that was completely out of your control? Despite the months-long process of applying for a mortgage, subjecting yourself to credit ratings, gaining approval, and actually undergoing the ‘big move’; one gust of metaphorical wind could knock it all down. A title error can prove to be devastating. and while there is no doubt that home-owners will do whatever they can to protect themselves and their property, that’s not to say external forces can’t also have an impact. How Can Title Errors Occur? How Can I Fix a Title Mix-Up? The simplest and most straight-forward way to tackle a title mix-up is to fix the problem rather than the symptom (being caught unaware by external factors). Take out an owner’s title insurance policy from an experienced and reputable title company. Choosing the right title company will not only ensure that your interests are taken care of in the buying process, but afterwards, too. It’s also highly encouraged that the title company you choose has a legal background in order to sift through the inevitable contract and legal paperwork that go hand-in-hand with assets of this magnitude. 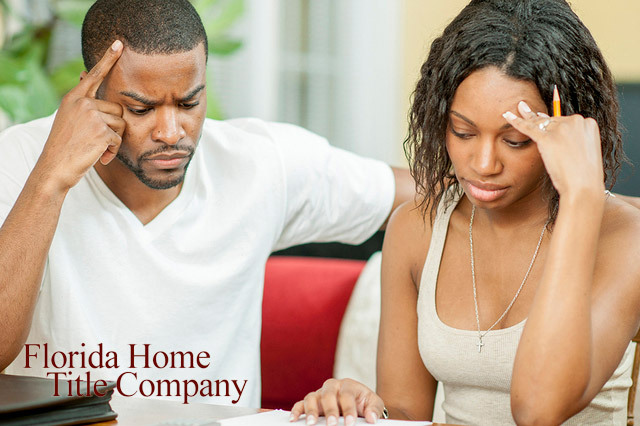 Title insurance protects you from any of the above-mentioned and unforeseen mishaps. Not only can a title mix-up leave home-owners financially vulnerable, it can also prove to be an infuriatingly long process to attempt to resolve and clear up. Not only that – it may prove impossible to rectify should home-owners be caught unaware and without the right insurance cover. One of the most frightening factors about home title mix-ups, is that they’re proving all too common, and long-gone are the days of the nostalgic ‘it won’t happen to me’ mentality. Buying a home often means that an enormous fraction of your life savings, if not all, become invested in one asset – an asset which is vulnerable to a number of external factors should home-owners not take necessary precautions. Don’t be left out in the cold! Ensure that your most valuable asset, the literal roof over your head, is protected under all circumstances and by the right people.